Vet Hunters is a grass roots movement that was started by one soldier who vowed to honor his fallen comrades, by serving the living and leaving no veteran behind. Search and rescue missions in the streets of America were initiated and ‘vet hunting,” was born. During V.H.P’s first year of inception, hundreds of veterans have been assisted all over the U.S. the development of effective outreach and what we call “vetworking,” will continue to increase in intensity until the homeless epidemic is diminished and ultimately ended. The words homeless and veteran should never go together! When you think of vet hunters, think of us as being like “e-harmony” of homelessness. 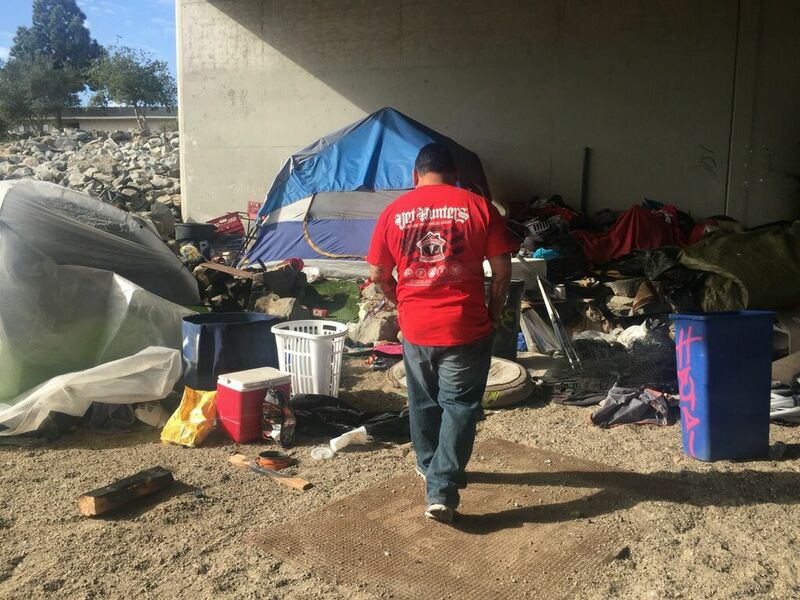 We connect the homeless person to resources by bringing them to where the homeless veteran’s live! Our office is the streets and anywhere a homeless veteran may call home. We take the word homeless away from veteran through action. if the veteran lives under a bridge, you will find us there doing everything possible to bring our homeless heroes, home! We are not government funded allowing us to meet the needs of veterans quickly. No red tape is how we operate.